Suzuki is all set to unveil quite a number of concept cars at the Gaikindo Indonesia International Auto Show 2018 in Jakarta, Indonesia, which is due to begin today. 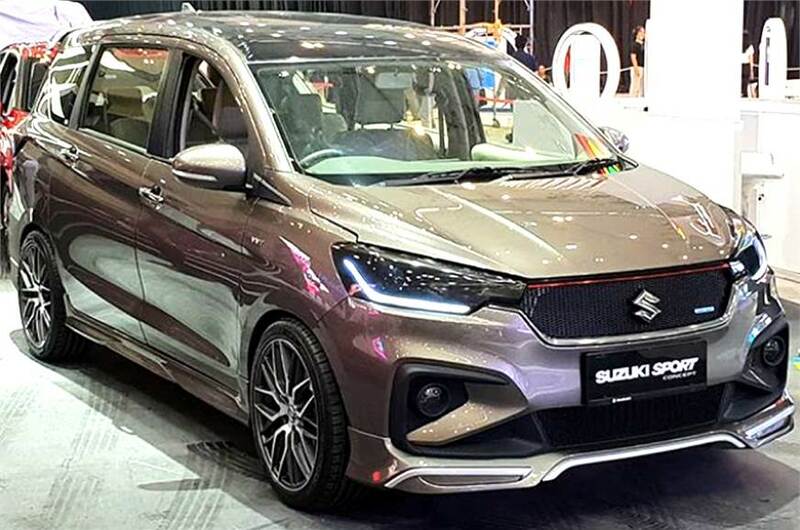 The Ertiga is one of the many concept cars that Suzuki has been planning to showcase at the GIIAS 2018. 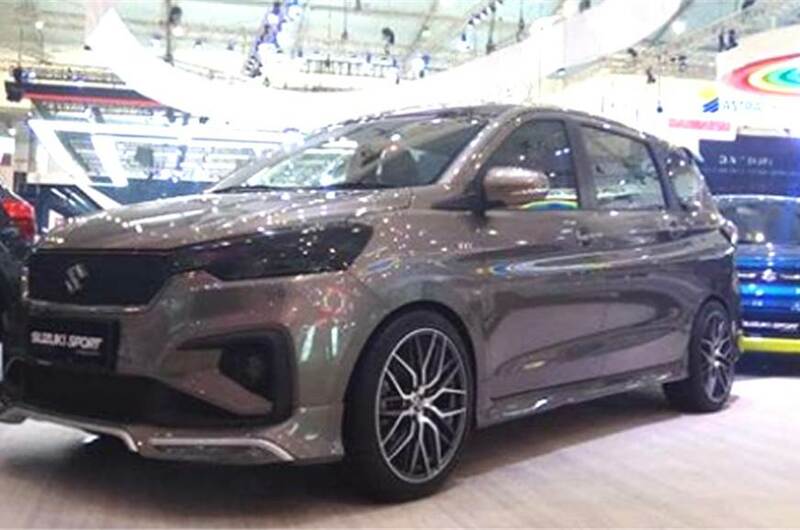 However, before they could do so, a set of images of the all-new Ertiga have already been leaked on the internet. 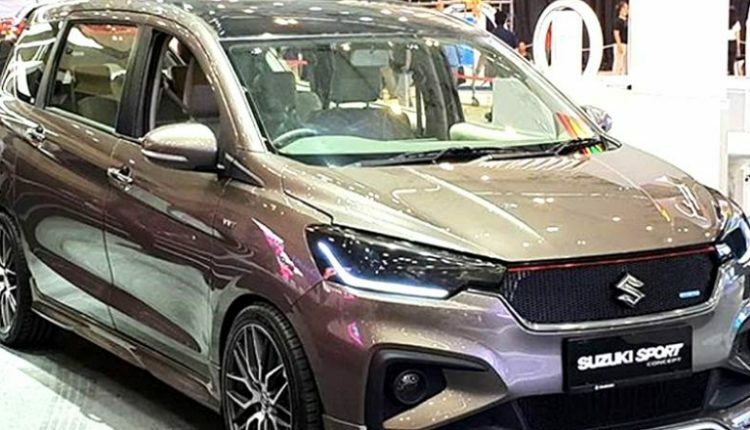 The new concept is called the Suzuki Ertiga Sport, and it gets quite a different look in comparison to the standard version of the new Ertiga MPV. The images show that there is an all-new custom brown paint on the Ertiga Sport. Apart from the paint job, there are large wheels on the car which get low-profile tires. An all-around body kit has been fitted on the Ertiga with add-ons to the front and rear bumpers and the side skirts. The most noticeable thing on the front is the custom Suzuki mesh grille and the darkened headlamps, whose style has also been changed. The vehicle is much lower than that the stock model, hinting at suspension tweaks as well. 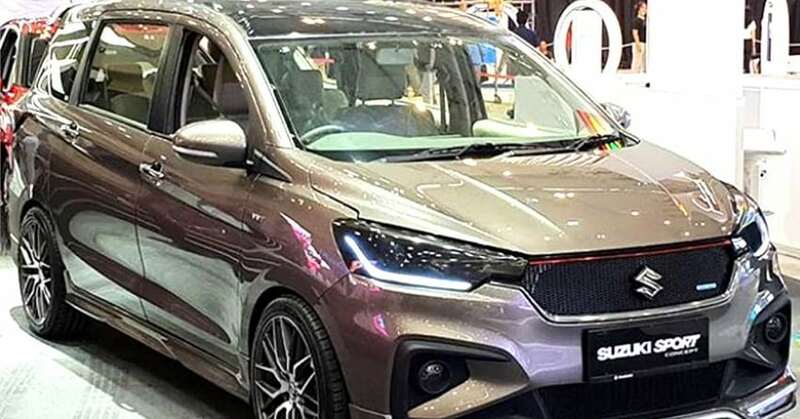 The tweaked version of the Ertiga Sport, which will be revealed at the Gaikindo Indonesia International Auto Show this year, is most likely a display vehicle and a part of the concept lineup by the company. It may not go into production at all. The variant of the all-new Ertiga, which comes in Indonesia, is fitted with a 1.5-litre petrol engine that has an option between a five-speed manual transmission and a four-speed automatic gearbox. Maruti Suzuki has plans to bring the all-new Ertiga to Indian markets as well. However, the plans are not set in stone, and the likely chances of the company bringing the MPV to India, while high, are for later this year.